I’ve been away on a work trip to L.A., which means all the crafting has been on old–and cookery too. 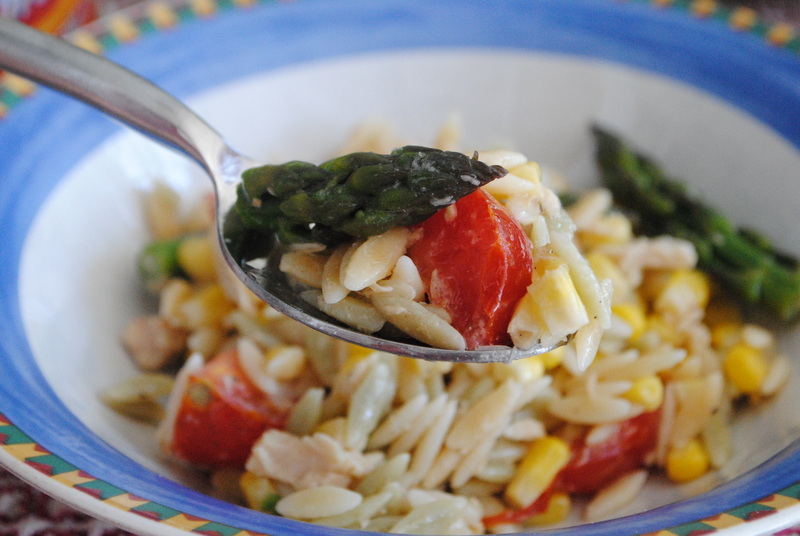 But, this weekend I tackled a summer salad as part of my attempt to try brand new recipes a couple times a week. 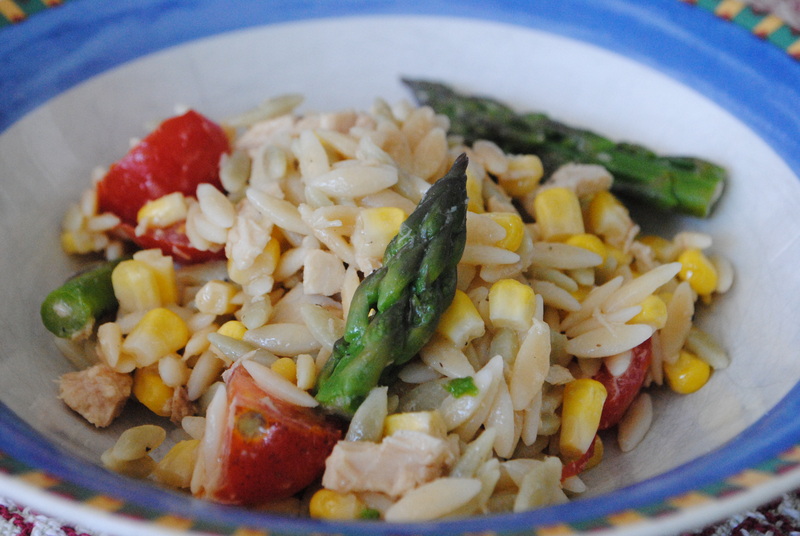 This was a hit; beautiful cold corn, asparagus and tuna orzo salad with a homemade dijon vinegrette. Everyone who tried it was smitten; its light, but filling, and totally delicious. It’s available in the Special Edition of Martha Stewart’s Food Everyday, Summer Made Easy. Scoop up that recipe magazine while you’re at it. As always, the two recipe project is being charted on flickr, too.